Heather Ryniec Balkunas is the founder and face of Heather Cosmetics, an innovative cosmetic company on the forefront of every client’s needs. She has been a professional makeup artist and skin care expert for nearly twenty years. Her work has been featured in popular national and regional publications, including Southern Living, Southern Bride, Atlanta Social Season, and People magazine. 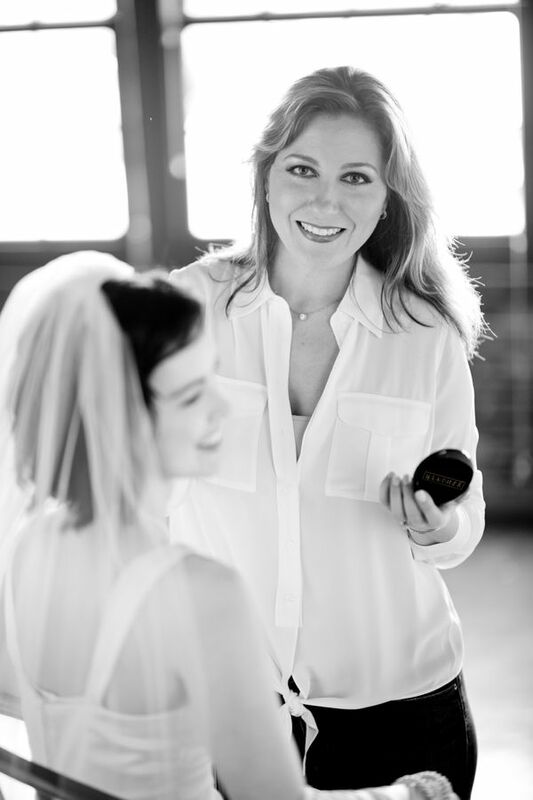 Born and raised in Memphis, Heather began her professional cosmetics career at age nineteen and has been devoted to skin care and cosmetics ever since. She was a leader in sales, training, and management for a multi-million dollar cosmetic department for over a decade. She was then recruited by another worldwide cosmetic company and was eventually recognized as the top of her field in the United States. After years of working as a makeup artist, she began to see a world of needs not being met by current cosmetic companies. Heather sought to provide clients with products that are FDA approved, consisting of safe ingredients, lacking toxic preservatives, and American made. After years in the industry, Heather decided to invest her time and career to the actual production of, not just sales of, cosmetics and skin care. Thus, began a period of intensive research that led to the founding of HEATHER Cosmetics. She subsequently partnered with the top manufacturers in the industry to create a cosmetic company that upholds her standards of quality and integrity. In December 2012, HEATHER Cosmetics opened its doors for business, featuring cosmetics, skin care, brushes and accessories. In an effort to empower the American economy she partners with U.S. manufacturers for the production of her line. HEATHER Cosmetics has recently expanded to include spa-quality, paraben- free, color retentive hair care. HEATHER Boutique and Spa. The ultimate beauty experience.